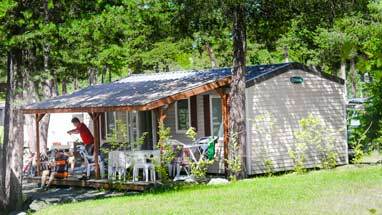 For your family trip in the region of Barcelonnette, do not hesitate to book a rental in the camping Le Fontarache. 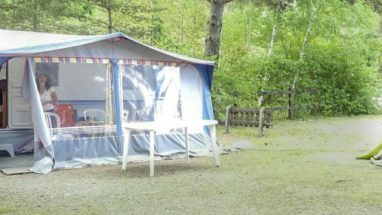 If you are a large family, we offer our Mobil-home cottage + Comfort formula. 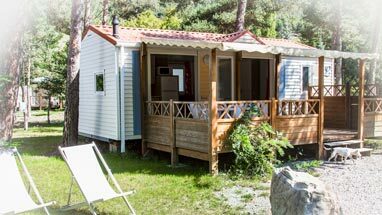 Accommodating up to 6 people, these modern and spacious mobile homes offer great benefits that will satisfy the whole family. 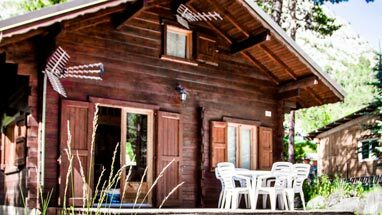 Composed of three bedrooms, a living / dining room, a bathroom and toilet, these cottage mobile homes of 31 m² welcome you for comfort during your entire stay. Offered from 58 € / night, our formula is particularly interesting for your family holidays. 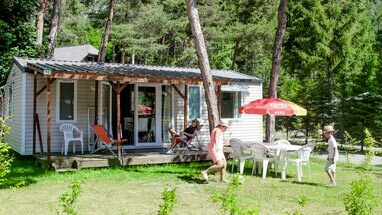 In the formula Mobil-home cottage Confort + you have the possibility to take the option of supplying sheets and towels as well as end-of-stay cleaning. In terms of equipment, you will find everything you need for a stay in good conditions: garden furniture, deckchair, barbecue, parasol, multimedia equipment, thermal installation, cleaning products … In order to occupy and satisfy any the family, you also have access to the secure swimming pool of our campsite. 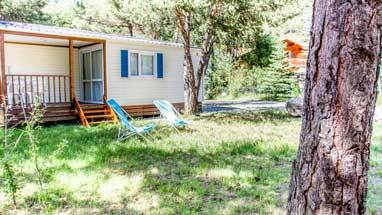 For your stay of a minimum of two nights, do not hesitate to book a mobil-home cottage at the campsite Le Fontarache.